9AM - 3PM Registration on site @ Exit 32. Please Note: All staging, pre-running and pitting will be different from last year. This year all drivers need to exit highway at Exit 32 and travel approximately 4 miles south of the highway until the pavement ends. This new location allows for a larger pit area, dry camping, etc. 6PM Ultra4 Dinner/Party at the Mustang Ranch! Everyone over the age of 18 is welcome for dinner. There will be a cash bar, must be 21 years of age to drink.. We will be celebrating Lujan Cole’s birthday at this event. For those drivers wondering if they should bring their significant others… everyone (male and female) over the age of 18 is welcome to attend!. 8AM - 12PM Qualifying @ Exit 32 (see above for details). Spectators get in free on Friday and advanced ticket sales will be available at registration Save $5 off each ticket by purchasing on Friday! 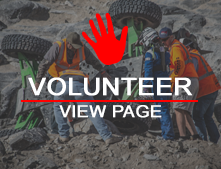 9AM - 6PM Torchmate Ultra4 Stampede Race! 8PM - The Sun Comes Up - Awards and party at Xtreme bar at Grand Sierra Resort!